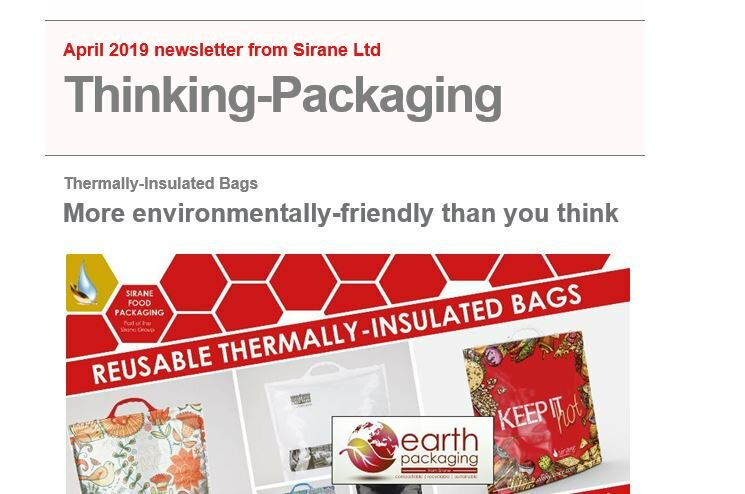 THERMALLY-INSULATED bags for hot food will be a major focus for Sirane at the Restaurant & Takeaway Expo 2018 – but we’ll also be introducing other new concepts. The Restaurant & Takeaway Innovation Expo 2018 takes place at the ExCeL arena, London, from September 25-26 – and it will be Sirane’s first time exhibiting at the show. Simon Balderson, Sirane MD, said: “I’d expect our thermally-insulated ‘hot food’ bags to be very popular. Take-aways are as popular as ever, and customers want the food to still be hot by the time they get home. These bags are a great way of making sure that happens. Used by supermarket shoppers and small independent food outlets alike, they are a reusable bag ideal for transporting fresh good home, delivery services, marketing and promotion - with many people opting for their own bespoke ‘branded’ bag. A range of products – including thermally-insulated bags for hot and cold food, susceptor for crisping food, cooking bags and even absorbent rotisserie liners will be on display.